Credit Repair » Everything you need to know in one page! Credit repair is a process through which individuals challenge negative items in their credit report if those negative items are inaccurate, misleading, outdated, or obsolete. It is an infamous term which means many different things to many different people. Over the years, we’ve seen every type of credit problem and have had over 1,800 companies apply for our affiliate program. So, our questions and answers below are more than a mere “FAQ” page, but rather, significantly researched information borne from experience. Yes, but… that’s like asking if anything works. Credit repair (like anything) works to the extent it is done correctly. It may not work if you’ve hired a company who is unskilled, lazy, unorganized, etc., or, worse, a company intentionally scamming you or ripping you off. 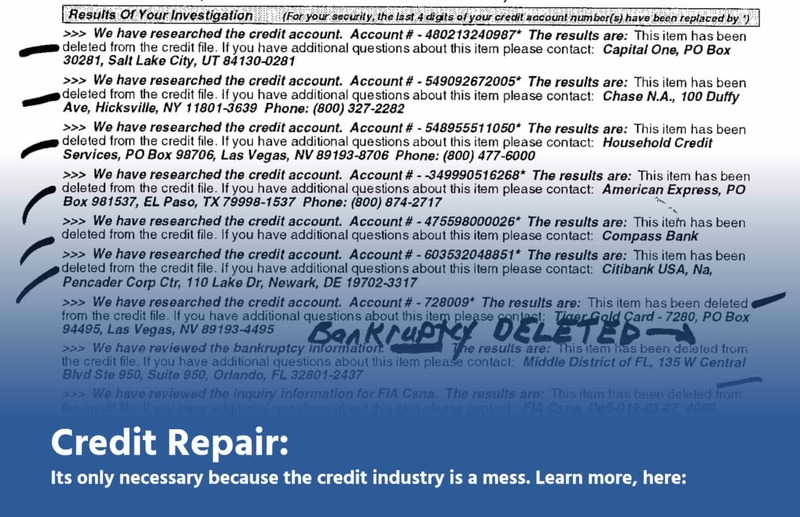 So long as the dispute letters are legally compliant and strategically targeted, yes… credit repair works. Moreover, its illegal for it to NOT work. 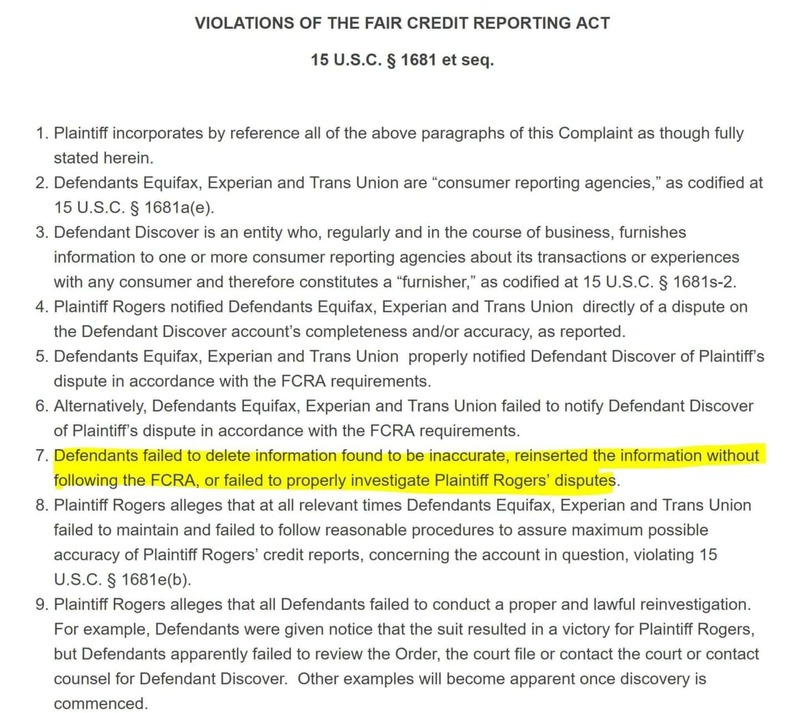 Let me explain: Subscriber (people who send information to credit bureaus, like your bank) and the credit bureaus are required by federal law to maintain accurate information. $100.00. What a simple answer, right? Well, it’s probably correct. This industry began – as a widespread practice – in the late 1980s, early 1990s. In those days, it was completely unregulated and the companies could charge (and the consumers would pay, if they agreed) whatever the companies asked. In 1996, the Credit Repair Organizations Act limited how payments could be charged. Now, there’s two types of credit repair costs: illegal and legal. The only legal way to charge for credit repair is monthly for the work completed in the previous month. So, the industry has settled on a price of around $100.00 per month. Is there such thing as free credit repair? Nothing is – actually – free. However, perhaps there are companies that will engage in credit repair at no cost to you for the purpose of achieving some other financial incentive. For example, maybe a mortgage broker will help you repair your credit “for free,” because he will make way more money if that loan closes. As for companies that do not charge you… no, that doesn’t exist. Don’t think of money as paper exchanging hands, but think of it as resources that fund operations. Without the resources, nothing would get done… including your credit repair. So, nothing is free, but you might be able to have someone subsidize it for a large financial incentive. Are there any trustworthy credit repair company reviews? No, not really. If you look at all of the sites that supposedly review companies, you’ll see a recurring theme: the same – huge – company is at the top. In fact, there’s a marketing company responsible for one of those large sites and on their website, they admit to being “the” marketing company for the largest credit repair company. It is very difficult to find legitimate reviews of credit repair companies. You should look to third parties, like Yelp, GooglePlus, etc. Should I use do-it-yourself credit repair software? Eh. People are very smart. Sometimes too smart for their own good. Do-it-yourself repair is possible and people are absolutely smart enough to do it, but… that doesn’t mean you should. You could probably figure out carpentry, laying tile, sewing, etc. But, your time – and the income you can generate with your labor – is better off spent on your specialty. If you do credit repair yourself, it is a time investment you will regret. Plus, you will likely do everything correctly and the credit bureaus may just outright ignore you. Are you prepared to sue them? So, you’d be better off paying someone a small fee to do you “dirty” work. Software is designed for companies, who require efficiency with lots of clients. Although credit repair software would assist a do-it-yourselfer, it doesn’t change the fact that you’d be better off paying someone else to conduct credit repair for you. Is it possible to speed up the credit repair process? No, if you mean that the repair is done correctly. Yes, if you mean avoiding mistakes and setbacks. Here’s the point: Credit repair is a process of challenging information in your credit report, which gives the subscribers and credit bureaus a Federally mandated time frame in which they can respond. So, unless a credit repair company can change federal law, they cannot “speed up” the credit repair process. However, a credit repair company can slow down the process by dropping the ball, being unorganized, etc. In other words, companies cannot speed up credit repair, but they can slow it down. So, hire a good company and the time will be the same. What's the difference between adding tradelines and credit repair? As explained above, credit repair can be defined as simple as this: removing negative credit items from your credit report. As explained elsewhere on our site, tradelines can be defined as simple as this: adding positive credit items to your credit report. Yes, both have a positive impact on your credit score. However, there’s a cart-before-the-horse situation here, because if you add tradelines for sale to credit report with many negative items, you may not realize the full benefit of the authorized user accounts. On the other hand, piggybacking off of seasoned authorized user tradelines can drastically increase credit scores if you add them to a credit report with few-to-no negative accounts. Who do you recommend for credit repair? Hey Kevin, I assume you hit the send button before you finished your question, so just post whenever you get a chance and we will answer. Thanks!